There is a massive range of TEFL courses available out there, and it can be very daunting trying to decide which is the best course for you. With this in mind, I have chosen some of the better known courses to review, so that you can work out which course is the right one for you in your particular set of circumstances. It's worth noting at the onset, that the CELTA or the CertTESOL are the 2 TEFL courses that are internationally recognised, provide practical teaching experience and are used as the industry standard. 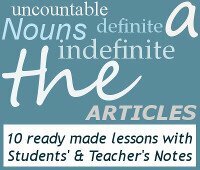 They are the Rolls Royce of English teaching, and if money, time and location are no object, then these are definitely the ones to go for. This, however is not possible for everyone as they are VERY expensive and require a lot of dedicated time. Fortunately there are other alternatives available. The most pressing question that most people seem to be asking is .... 'Will my certificate be recognised around the world?' or 'What accreditation does it have?' Unfortunately for you, these are generally not yes/no questions. It all depends on where you are going. In my experience, it hinges on how many other qualified people there are in a particular place. Basically, if you go to the back of beyond where there are very few native/proficiency speakers (like in Asia), you could very well get a job without any experience or certificates at all. But if you are looking for a job in Europe, you will find it very difficult without a degree or a CELTA qualification. And then there are the places inbetween that will accept online courses, or online courses with some practical teaching experience. So if you know where you want to go, the best thing to do is to research before hand what is required in that particular location. Phone some private language schools and find out what their requirements are in that location. Why do you want to do TEFL? This is a very important question to ask, because it will determine how much time and money you are prepared to put into it. You are thinking of teaching English, but are not sure if it's for you. Taking a shorter, cheaper online course, or a weekend classroom course, is the ideal way to get your feet wet and see if it's something you would like to get into more seriously. You can always upgrade later if you like it. You want to take some time out to travel, but need something to support yourself as you go along. Doing an online course with a placement at the end, or an internship would probably suit you best. You've got some teaching experience in other areas but want to switch to English. The shorter online courses will give you the help you need with grammar and the specifics of teaching English, and the practical is not as important as you already have some experience and confidence in this area. You are already teaching English abroad but want to get better. The online courses offer great teaching ideas and will give you the specifics so that you can teach effectively. There are also specialist courses in many interesting categories. Teaching ESL/EFL will be your vocation and main income earner. It's worth investing in the CELTA, or if that's too expensive then there's the EDI CertTEFL. You want to teach private lessons from home. If you are a native English speaker in a country that doesn't speak English, you shouldn't have a problem finding students. And they don't ask about qualifications. But doing some sort of course would be invaluable in giving you some very helpful guidelines.